Why should I use a medical billing service? 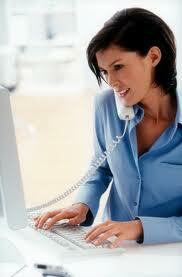 A medical billing company should increase your reimbursements. In fact, a medical billing service should be more efficient and effective at medical billing than your own office. Here are some real benefits you will quickly realize by outsourcing your medical billing to Med-Tech. All claims are processed within 24 hours of receiving them in our office. Med-Tech submits electronically to Medicare, Medicaid, BCBS and all commercial carriers. Claims that require special handling will be printed on paper. We work each claim until it has been paid or a reasonable denial has been given. What kind of documents will you need from us? We need a copy of your patient information sheet that includes demographic and insurance information. We also need a copy of your encounter/super bill. Anytime patient or insurance information is changed or updated, we require that you send us a copy to ensure we have the most current data. This information assists us in filing an accurate claim that results in faster reimbursement for you. How secure is our patient demographic information? Your demographic information is picked up on a weekly basis by one of our staff members. For those accounts that are not local, we arrange a courier service or receive the needed information via a private email account or via fax. Do we need to report payments received from patients? Yes, it is essential to your practice so that we can post payments for claim tracking, applying patient credit, and calculating patient balance due. Payment received in the mail can be recorded on a patient payment log and sent to us weekly. Where do payments from insurance carriers go? All payments come directly to you. We ask that you provide us with all payment remittance details and EOB information in the weekly pickup. Will you call my patients to collect on outstanding balances? In general, it is not necessary to contact patients about billing. Collections arrangements can be made for delinquent bills. We will courteously address patient questions about their bills or claims. What kind of reports do I get from Med-Tech? How do we get started with Med-Tech Medical Billing? We are happy to answer any questions you may have and welcome the opportunity to work with you. Connect with us today using our contact information below.